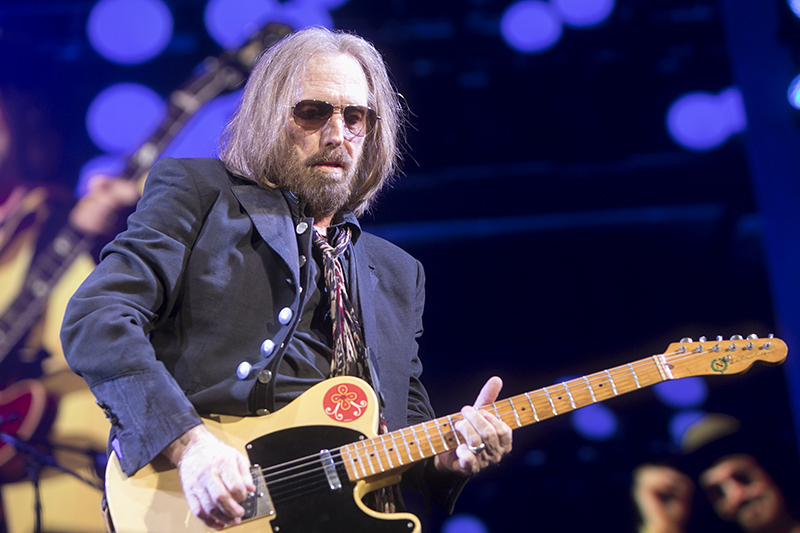 After a few postponements due to a case of laryngitis, Tom Petty was feeling much better, making a triumphant recovery and return as he and the Heartbreakers delivered a set chock full of hits at a near capacity Greek Theatre in Berkeley. Judging from the crowd’s reaction, they did not hold the postponements against him but instead welcomed him back to Berkeley with open arms. Petty played two nights at The Greek on this tour. Strolling out onto the stage with a huge smile, Petty looked over the crowd and said “I’m feeling the mojo,” as he and his band kicked the evening off with “Rockin’ Around (With You),” the first song on the band’s very first album. From there it was an evening of some of Petty’s best-known songs all performed under the stars, while multi colored globe lights shone on the stage. 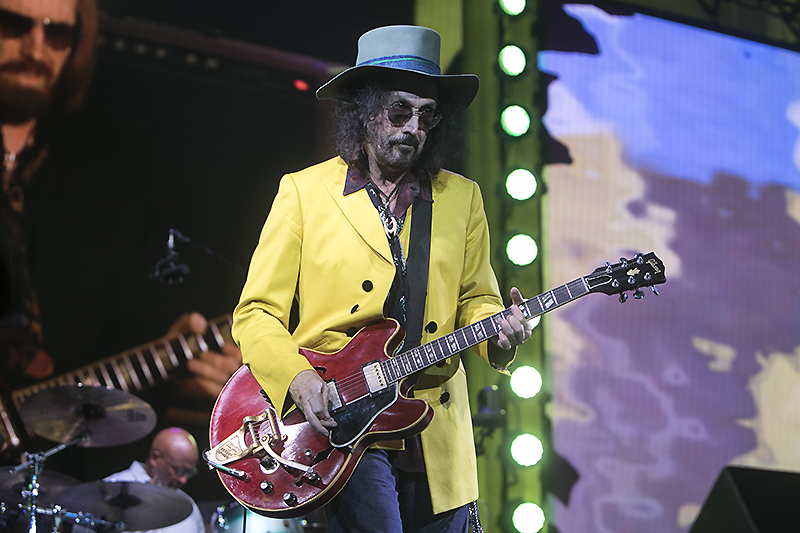 “Mary Jane’s Last Dance,” “You Don’t’ Know How It Feels,” and “Into The Great Wide Open” all sounded timeless as Petty and original Heartbreaker Mike Campbell traded their signature guitar riffs while the rest of the Heartbreakers held it all down. 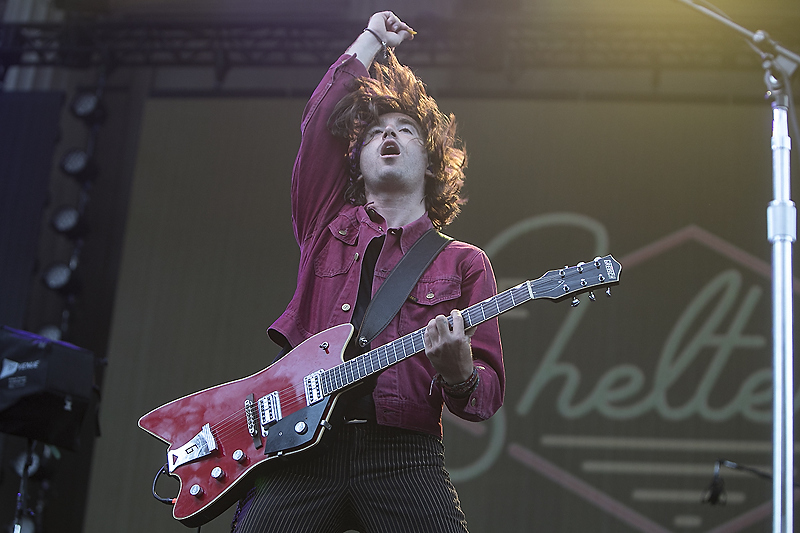 Opening the show on this evening were The Shelters, a four-piece band hailing from Los Angeles, who Tom Petty has helped groom over the last few years. Their no nonsense brand of straight up rock ‘n’ roll proved to be a big hit with the audience, and had them filling the amphitheater early, and on their feet. Find out more about Tom Petty on his website. 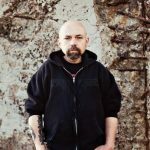 Check out The Shelters here.